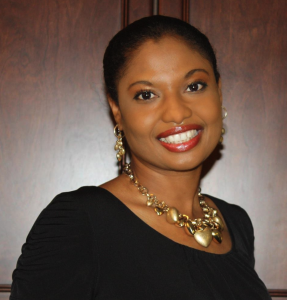 Minister Chandra Cherry joined The Pathway of Life in Dallas, Texas in 2002 where she joined the intercessory prayer team whose purpose was to pray before, during and after service. After prayer, when praise and worship began, several of the intercessory team wanted to continue in the spirit of praise and worship after having a victorious time in prayer, so they would go to the front of the sanctuary and dance and sing. They were intently focused on giving God the glory! Minister Cherry never knew that people were really paying attention to them until several people came to Minister Cherry after services to express how much they enjoyed seeing her dance and how they were blessed by the dancing. This encouraged her to continue to dance because she felt that her reason for dancing was two-fold – to show adoration and appreciation towards God and to bless His people! She enjoyed effecting change in the Spirit Realm through movement and praying! One day, a lady asked Minister Cherry if she would join the dance ministry but she told her that she did not know how to dance and was not good at it! The lady said that she did not care and knew that she had a heart for God’s will. So Minister Cherry joined. However she was fearful that she would not be good enough! It turned out that she ended up being one of the best in the group only because she just focused on her love for God and wanted to show it! She did not focus on the fact that she could not dance. However, after several years, she never knew that what she was doing was ministry – although the evidence was in her and coming out. She was even leading what was called by pastor’s “dance TEAMS” so she never considered what she was doing was ministry! Her eyes were opened when she danced for her grandmother for an appreciation dinner in her honor. There was not a dry eye in the room and afterwards a wayward aunt gave her life to the Lord! Before then, when people expressed how they were blessed, delivered or healed by dances that she ministered. She believed them but she wished she could have seen the transformation. This time, it was revealed how God can use dance to minister to people. God began to tug at Minister Cherry’s heart about dance “MINISTRY” every since then. She started taking dance classes to improve dance technique. She asked the Heavenly Father for clarity since she had no clue about how to start one until after she attended a Dancing for Him conference led by Pastor Lynn Hayden. During the conference Minister Cherry was prophesied to several times regarding the calling on her life to be a minister of dance. This was confirmation! She bought every book and video that Pastor Lynn Hayden wrote and started reading and watching videos! She enrolled into the Dancing For Him Ministries School and graduated after 2 years as a Licensed Minister of Dance in 2015. She received the calling to start Beautiful are the Feet Productions one day after a devastating event that brought her to the end of herself. She and her husband prayed not for themselves but just that Almighty God would get the glory in the situation. She peacefully went to sleep and woke up as if someone hit her with a rock! She was receiving a vision from God and began to write what was the name, vision and mission of Beautiful are the Feet Productions based on the scripture Isaiah 52:7 ”How beautiful on the mountains are the feet of the messenger who brings good news, the good news of peace and salvation, the news that the God of Israel reigns!” It is the purpose of Beautiful are the Feet Productions to spread the Gospel of the good news that God loves and adores and He desires that we all have an intimate relationship with Him through anointed dance pieces and other performing arts.